There are 3 Memory Care Facilities in the Soulsbyville area, with 1 in Soulsbyville and 2 nearby. The average cost of memory care in Soulsbyville is $4,200 per month. This is lower than the national median of $4,655. Cheaper nearby regions include Jamestown with an average starting cost of $3,500. To help you with your search, browse the 4 reviews below for memory care facilities in Soulsbyville. On average, consumers rate memory care in Soulsbyville 2.8 out of 5 stars. Better rated regions include Jackson with an average rating of 4.0 out of 5 stars. Caring.com has helped thousands of families find high-quality senior care. To speak with one of our Family Advisors about memory care options and costs in Soulsbyville, call (855) 863-8283. Soulsbyville is part of the Greater Sonora Metropolitan Area, located in Tuolumne County, where more than 55,000 people reside. The area is home to a considerably high senior population, many of whom require residential care after receiving a diagnosis of Alzheimer's Disease, Huntington's Disease or some other form of dementia, which affects an estimated 650,000 seniors in California. For seniors with dementia, there are three residential care facilities located nearby. These facilities are officially known as residential care facilities throughout the state and often are housed within assisted living facilities since both levels of care are subject to a similar set of rules. 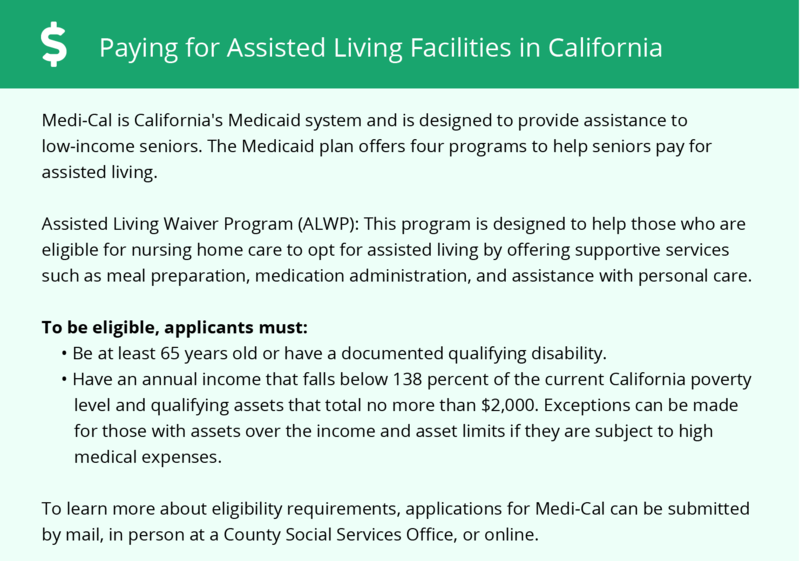 The California Department of Social Services is responsible for regulating all residential care and assisted living facilities. Soulsbyville and Tuolumne County are known for having high levels of ozone pollution, which can result in negative health effects for senior citizens, particularly those with respiratory illnesses or cardiovascular disease. The Soulsbyville area is home to world-class medical facilities, including those that specialize in brain health and dementia care, such as Adventist Health, in the event of medical emergencies or illness. State income tax rates in California are among the highest in the country, and the state taxes all forms of retirement income, including pensions and savings withdrawals. For families relying on senior income to pay for memory care, taxes might cut into the budget far too much. In Soulsbyville and throughout the Sonora Metropolitan Area, both property crime and violent crime rates are significant. Property crime rates are nearly 20 percent higher than the national average, and violent crime rates are nearly 25 percent higher. That means it's crucial to discuss security with memory care facilities and find out what measures are in place to keep residents safe. Memory Care costs in Soulsbyville start around $4,200 per month on average, while the nationwide average cost of memory care is $4,778 per month. It’s important to note that memory care rates in Soulsbyville and the surrounding suburbs can vary widely based on factors such as location, the level of care needed, apartment size and the types of amenities offered at each community. Soulsbyville and the surrounding area are home to numerous government agencies and non-profit organizations offering help for seniors searching for or currently residing in an assisted living community. These organizations can also provide assistance in a number of other eldercare services such as geriatric care management, elder law advice, estate planning, finding home care and health and wellness programs. To see a list of free memory care resources in Soulsbyville, please visit our Assisted Living in California page. 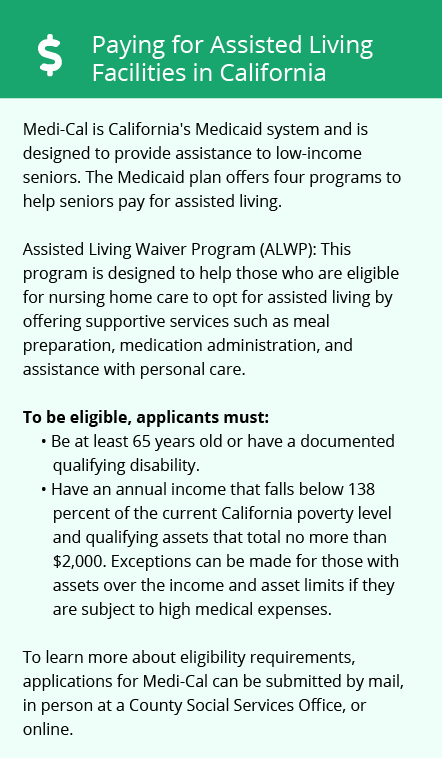 Soulsbyville-area assisted living communities must adhere to the comprehensive set of state laws and regulations that all assisted living communities in California are required to follow. Visit our Memory Care in California page for more information about these laws.